Kathrin is a recent graduate with an interest in neurosurgery. She is currently completing her Graduate Certificate in Research Methods. She enjoys reading, playing tennis, yoga and travelling. Michael is a recent graduate with an interest in global, developmental and public health. He is currently completing his Masters in Public Health and Tropical Medicine. Melioidosis is an infection of concern to global health. It is caused by the intracellular gram-negative bacterium Burkholderia pseudomallei, which is found in the soil and fresh waters of endemic regions. This study identified the average annual incidence of melioidosis in the Torres Strait region between 2001-2012, and compared this to one other similar study, which identified the average annual incidence between 1995-2000. Patient demographics, clinical presentation, outcomes and risk factors were compared to other available studies. In this retrospective study of melioidosis in the Torres Strait, 31 cases were identified over an 11-year period, representing an annual incidence of 37 cases per 100,0000 population. Of these cases, 84% recovered, 16% required intensive care unit (ICU) admission, 3% had a relapse and two patient deaths occurred. The mortality rate was 6.4%. Pneumonia accounted for fifteen presentations (48%) and splenic abscesses for ten presentations (32%), with nine patients presenting with septic arthritis of a joint (29%). Other presentations included hepatic (19%), prostatic (19%), renal (10%), skin (6%), pancreatic (3%), scrotal (3%) and spinal abscesses (3%). Four presented with bacteraemia alone (13%) and one case presented with urethritis (3%). Risk factors included diabetes mellitus (68%), excessive alcohol intake (35%), renal disease (12%), autoimmune disease (6%), malignancy (4%) and the use of immunosuppressive medication (2%). The Torres Strait is a tropical region comprised of 274 islands between the Cape York Peninsula of mainland Australia and Papua New Guinea (PNG). According to the 2006 Australian Bureau of Statistics (ABS) census data, the region has a total population of 7,624, with 82.5% identifying as Indigenous. Half of this population is clustered within the central island group located closest to Thursday Island (TI), which is the commercial and governmental centre of the region. Hospital services are also centralised at TI, however, the closest tertiary referral centre for the Torres Strait region is the Cairns Base Hospital, located 800km south of TI. The clinical syndrome associated with the infection of B. pseudomallei is diverse and can affect a variety of organs. Both domestic and international literature overwhelmingly demonstrated the lung as the most commonly affected organ, with pneumonia being the most common clinical presentation of melioidosis. [7,9] Other clinical presentations include symptoms of septicaemia such as fever, malaise, pain in the joints or abdomen, which may be the result of abscess formation in the liver, prostate, kidney, skin or pancreas. The literature demonstrates the importance of melioidosis to the Torres Strait region. Its seasonal, wet, tropical location and its burden of chronic disease make it a prime location for B. pseudomallei. Furthermore, the most recent examination of this condition in the area is ten years old, highlighting the need for more recent data. This study aims to retrospectively examine all melioidosis cases between the year 2001 and 2012, in order to understand the current burden, risk factors and disease pattern of melioidosis in the Torres Strait. This study aimed to conduct a retrospective audit of all patient data between 2001 and 2012, with diagnosis of melioidosis confirmed by isolation of B. pseudomallei. Patients who had been coded as having a diagnosis of a melioidosis infection within this period were identified. All patients who had a positive culture or serology for melioidosis were identified through Queensland Health Pathology. Electronic records were accessed for confirmation of diagnosis and to collect patient medical history, social history and medication lists. Electronic data was accessed through the Queensland Health Electronic Discharge Summary (EDS) program and via clinical notes in Best Practice. AusCare was accessed to confirm positive blood or swab cultures. Positive serological diagnoses without supporting positive cultures were excluded. Patients with negative pus or blood cultures were excluded. Patient records were de-identified and analysed for demographical data, risk factors, clinical presentation and outcomes. All cases identified were acquired within the Torres Strait region. Patient transfer to a tertiary hospital for further management and treatment did not result in exclusion of the patient. Once stabilisation was achieved in tertiary centres, patients returned to the TI Hospital to complete treatment, and were not listed as an additional case in the study. Annual incidence rates were calculated using the 2006 ABS population census data of the Torres Strait region. 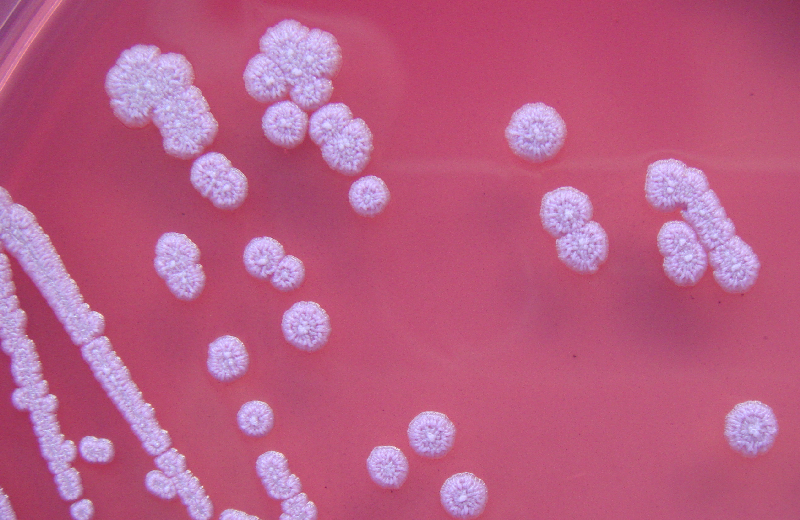 Recognised risk factors for melioidosis were utilised to aid in analysis of patient records. Data were compared to previous studies from both the Torres Strait and other similar regions within Australia, to determine similarities and differences across these areas. Patient occupational data was not included in this study, as they were not reflective of environments which would cause significant increased exposure to B. pseudomallei. Melioidosis was confirmed in 31 cases by isolation of B. pseudomallei from any clinical sample. Of the 31 cases, 28 cases were confirmed by blood culture and two cases were confirmed by swab culture of pus, one from a septic ankle and the other from an epidural abscess. These two cases did not culture B. pseudomallei in serological samples. This represented an average annual incidence of 37 cases per 100,000 of melioidosis within the Torres Strait region. The majority of individuals affected were male (65%), of Torres Strait Islander decent (Figure 1), with a median age of distribution between 40-49 years (Figure 2). Most patients presented from outer islands (71%), in particular Badu Island. Ninety percent of presentations occurred during the wet season months of the Torres Strait, between January and May. Many patients had more than one risk factor, and diabetes mellitus was by far the most common, present in 21 cases (68%). Excess ethanol intake (35%) and renal disease (12%) were also identified as significant risk factors in this study. Autoimmune disease (6%), malignancy (4%) and the use of immunosuppressive medication (2%) were considered minor risk factors (Figure 3). Significant risk factors were defined as those that represented a higher percentage in the population as extrapolated from data. Obesity, heart disease and COPD were not identified as significant risk factors in this study. Of all cases, pneumonia was the most common presentation (48%), closely followed by splenic abscesses (32%) and septic arthritis of a joint (29%). Other presentations included hepatic (19%), prostatic (19%), renal (10%), skin (6%), pancreatic (3%), scrotal (3%) and spinal abscesses (3%). Four presented with bacteraemia alone (13%), and one case presented with urethritis (3%) (Figure 4).The majority of patients (84%) recovered with a total of five ICU admissions (16%), two patients had long- term disability and there were two deaths, giving a mortality rate of 6.4%. Two of the 31 cases occurred in children, one in a five-week old infant with the outcome of death, and one in a five year old child who was not of Aboriginal or Torres Strait Islander origin, who presented with pneumonia and septicaemia. One case of relapse was identified in a 30-year old male from Badu Island who was non-adherent with treatment following discharge from ICU at the Cairns Base Hospital. The high incidence reported here could be attributed to a number of environmental and population factors unique to the Torres Strait region. Climate is a major factor, as the Torres Strait region has very high rainfall during the seasonal wet months from December to May. This reinforces the seasonal distribution of melioidosis, as 90% percent of cases identified occurred within these months. This strong association between the incidence of melioidosis and the rainfall patterns highlights an opportunity for public health intervention to be focussed on the annual wet period in the Torres Strait. In addition, melioidosis incidence was highest on TI (26%), closely followed by Badu Island (23%), which creates additional target locations for public health intervention. In alignment with the literature, our study demonstrated an over-representation of the Indigenous population presenting with melioidosis. Out of the 31 cases, 28 identified as Indigenous (93.5%), and only three as non-Indigenous. This could be attributed to the generally poorer health status of Indigenous Australians, and the higher rates of chronic illness such as diabetes mellitus, resulting in this population being more susceptible to melioidosis infection. The higher incidence of melioidosis may also be attributed to the cultural differences in the Indigenous population of the Torres Strait. This population has been anecdotally noted to rarely wear shoes, and to spend much of their time in outdoor activities such as fishing. This results in a significant higher environmental exposure to B. pseudomallei. Another type of study that would be beneficial for the Torres Strait region would be to investigate the levels of B. pseudomallei exposure patterns. This would involve environmental sampling, to determine the concentration of B. pseudomallei present in the soils, waters and grasses across different islands. This data could then be cross-referenced with our study data, which identified specific islands as having a higher number of clinical cases. Environmental studies could provide and explanation for the higher incidence of melioidosis present on particular Torres Strait islands. For example, if a decreased concentration of B. pseudomallei was found in the soils, waters and grasses of Badu Island, the health status of the population may be considered as a more weighted risk factor for melioidosis relative to environmental exposure. Finally, a cost analysis study of the financial burden of melioidosis could be completed. Our study identified that the majority of patients required long stay admissions at TI Hospital and tertiary centres, and that a significant proportion of cases (16%) required ICU stay. This financial burden of melioidosis on the public health system needs to be addressed, as it may provide further incentive to fund greater public health programs aimed at the primary prevention of melioidosis. We acknowledge and appreciate the support and input from all the staff at the TI Hospital. We would like to particularly thank medical records and the pathology department at TI Hospital. Wiersinga WJ, van der Poll T, White NJ, Day NP, Peacock SJ. Melioidosis: insights into the pathogenicity of Burkholderia pseudomallei. Nature Review: Microbiology 2006;4:272-282. Wiersinga WJ, Currie BJ, Peacock SJ. Melioidosis. The New England Journal of Medicine 2012; 367: 1035-1044. Dance DAB. Meliodosis as an emerging global problem. Acta Tropica 2000;74:115-119. Faa AG, Holt PJ. Melioidosis in the Torres Strait Islands of far North Queensland. Communicable Diseases Intelligence 2002;26:279-283. Parameswaran U, Baird RW, Ward LM, Currie BJ. Melioidosis at Royal Darwin Hospital in the big 2009-2010 wet season: comparison with the preceding 20 years. Medical Journal Australia 2012; 196(5):345-8. Currie BJ, Fisher DA, Howard DM, Burrow JN, Selvanayagam S, Snelling PL, Anstey NM, Mayo MJ. The epidemiology of melioidosis in Australia and Papua New Guinea” Acta Tropica 2000;74:121-127. Malczewski AB, Oman KM, Norton RE, Ketheesan N. Clinical presentation of Melioidosis in Queensland, Australia. Royal Society of Tropical Medicine and Hygiene 2005; 99(11):856-60. Currie BJ, Fisher DA, Howard DM, Burrow JN, Lo D, Selva-Nayagam S, Anstey NM, Huffam SE, Snelling PL, Marks PJ, Stephens DP, Lum GD, Jacups SP, Krause VL. Endemic Melioidosis in tropical northern Australia: a 10 year prospective study and review of the literature. Clinical Infectious Diseases 2000; 31:981-6. Limmathurotsakul D, Chaowagul W, Chierakul W, Stepniewska K, Maharjan B, Wuthiekanun V, Day NP, Peacock SJ. Risk Factors for Recurrent Melioidosis in Northeast Thailand. Clinical Infectious Disease 2006; 43:979-986. McDermott RA, McCulloch BG, Campbell SK, Young DM. Diabetes in the Torres Strait of Australia: Better clinical systems but significant increase in weight and other risk conditions among adults, 1999-2005. 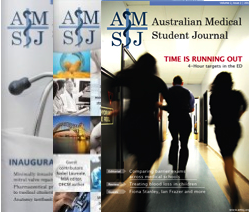 Medical Journal of Australia 2007; 186:505-508. Leelarasamee A. Meliodosis in Southeast Asia. Acta Tropica 2000; 74:129-132. Hansan DZ, Suraiya S. Clinical characteristics and outcomes of bacteraemic melioidosis in a teaching hospital in a north-eastern state of Malaysia: a five year review. Journal of Infections in Developing Countries 2010; 4(4):430-435. Currie BJ, Ward L, Cheng AC. The epidemiology and clinical spectrum of melioidosis: 540 cases from the 20 year Darwin prospective study. Neglected Tropical Diseases 2010; 30:4-11. Costello A, Abbas M, Allen A, Ball S, Bellamy R, Friel S, Groce N, Johnson A, Kett M, Lee M, Levy C, Maslin M, McCoy D, McGuire B, Montgomery H, Napier D, Pagel C, Patel J, de Oliveira JA, Redclift N, Rees H, Rogger D, Scott J, Stephenson J, Twigg J, Wolff J, Patterson C. Managing the health effects of climate change. The Lancet 2009; 373:1693-1733. Kanaphun P, Thirawattanasuk N, Suputtamongkol Y, Naigowit P, Dance ABD, Smith MD, White NJ. Serology and Carriage of Pseudomonas pseudomallei: A prospective Study in 1000 Hospitalized Children in Northeast Thailand. Journal of Infectious Diseases 1993; 167(1): 230-233.